The Posthumous Papers of the Pickwick Club, Charles Dicken’s first novel, was published in installments by Chapman and Hall from March 1836 to November 1837. There were 20 parts issued in 19 volumes for a shilling each with 43 engraved plates. The first two parts were illustrated by Robert Seymour, who originally pitched the project to Chapman and Hall as a series of sporting sketches with accompanying commentary. But once Dickens – then known by his pen-nickname “Boz” – came on board the project, Seymour’s role was diminished. Dickens was notoriously hard on his illustrators. On April 20, 1836, Seymour committed suicide. R. W. Buss was brought on board to provide illustrations for the third part, but he was quickly replaced by H. K. “Phiz” Browne, who illustrated the remaining parts and went on to work with Dickens for many more years. While certainly not the first novel to be published in serialized parts, the Pickwick Club was the first to “go viral,” especially after the introduction of the beloved character Sam Weller. The final double installment of parts 19 and 20 was printed in a run of 40,000, an incredible increase from the 1,000 copies printed for the first part. FSU Special Collections & Archives has recently acquired a complete set of parts of the Pickwick Club in their original wrappers. Parts 9-10 and 12-20 include The Pickwick Advertiser, which are a treasure trove of Victorian era advertisements for everything from toothache remedies to easy chairs. Parts 14 and 19-20 include an additional tipped in catalog for Mech’s cutlery. 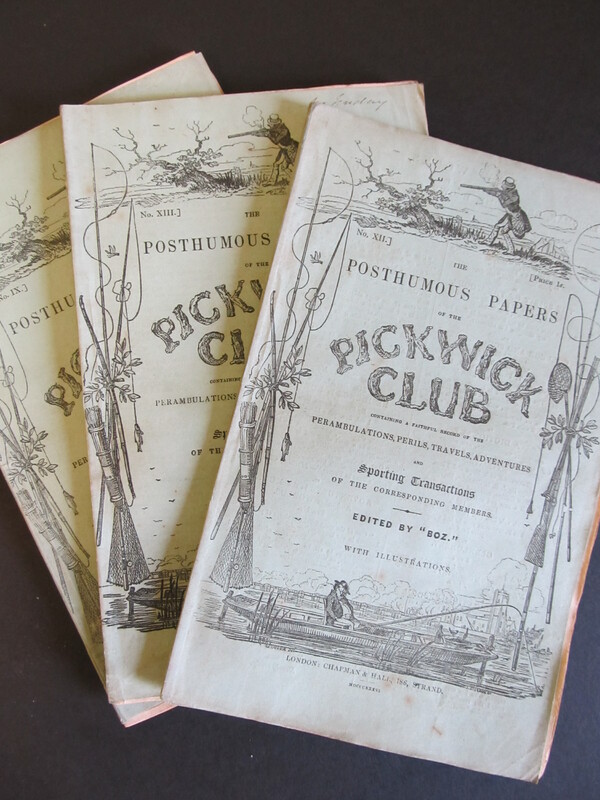 These serialized parts nicely complement FSU Special Collections’ copy of the first single-volume edition of the Pickwick Club, printed from stereotypes of the original parts in 1837. 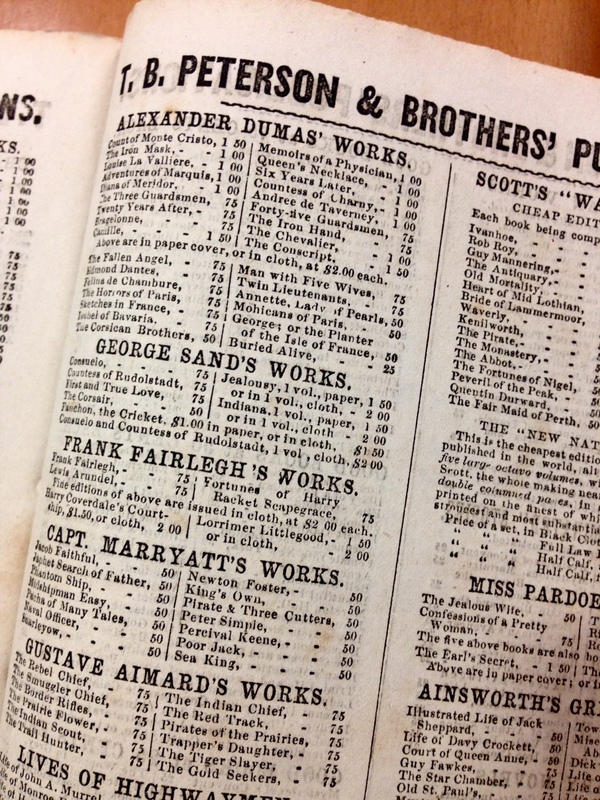 FSU’s copy includes a binder’s ticket from “Alexander Miller, Bookseller, Port Street, Stirling” on the lower left-hand corner of the back pastedown. 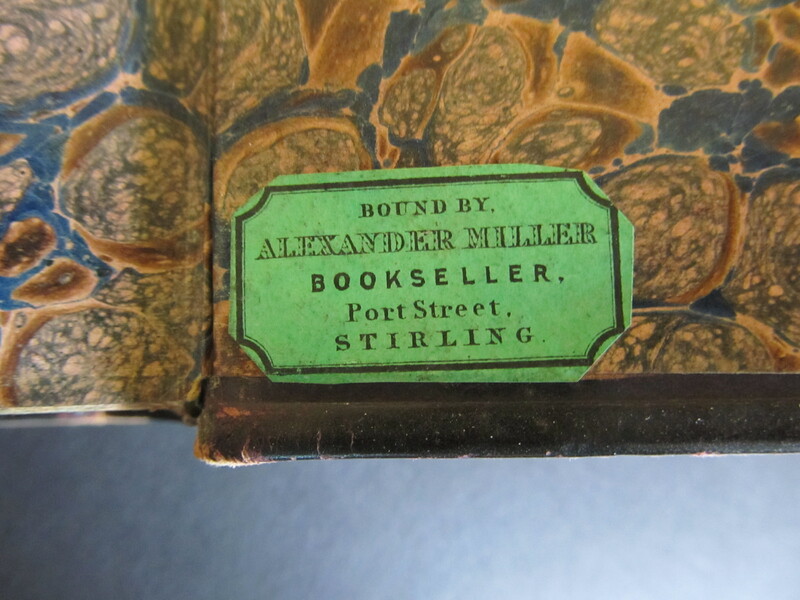 There is evidence of a bookseller named Alexander Miller active in Stirling, Scotland in 1852 and 1865-6. Indeed, ready-bound versions of popular works like the Pickwick Club would have been commonly available for purchase in bookshops like Miller’s in the middle of the nineteenth century. 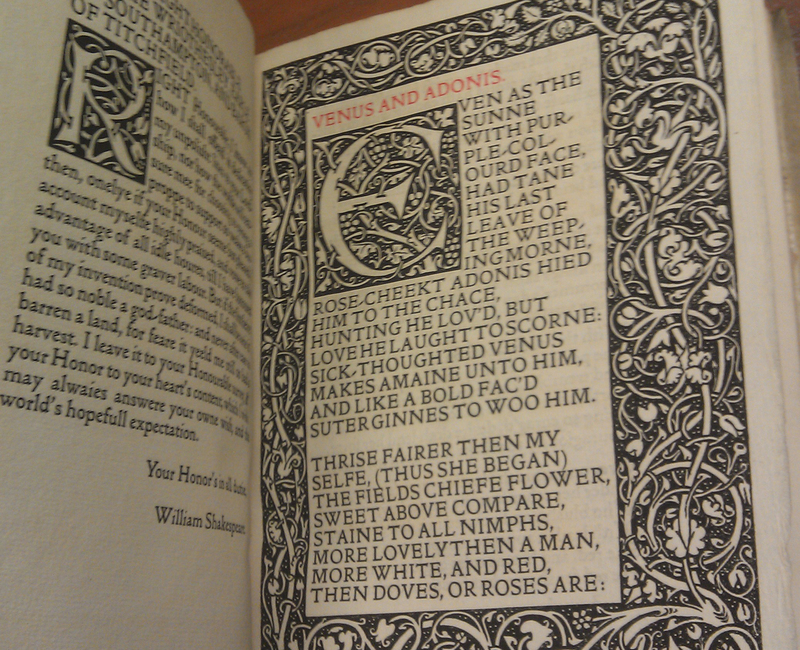 Stop by the Special Collections Research Center soon to look at these and other editions of Dickens’ works! FSU Special Collections & Archives recently added 33 late-nineteenth century American paperbacks to our rare book collections. These include such famous titles as Great Expectations and Our Mutual Friend by Charles Dickens, the Waverley novels of Sir Walter Scott, and The Pioneers and The Last of the Mohicans by James Fenimore Cooper. They were published between 1865-1874 by D. Appleton and Company of New York and T. B. Peterson & Brothers of Philadelphia, and, because they still have their original printed paper wrappers and advertisements, they are important artifacts in the history of nineteenth-century printing and the development of the modern paperback. A Peterson “Cheap Edition for the Million” sold for 35 cents and would include illustrated plates, while the smaller Appleton editions sold for 25 cents. Authors like Dickens are famous for publishing their works as serialized novels, which could be bought in parts to make them more affordable to the growing numbers of working-class readers. 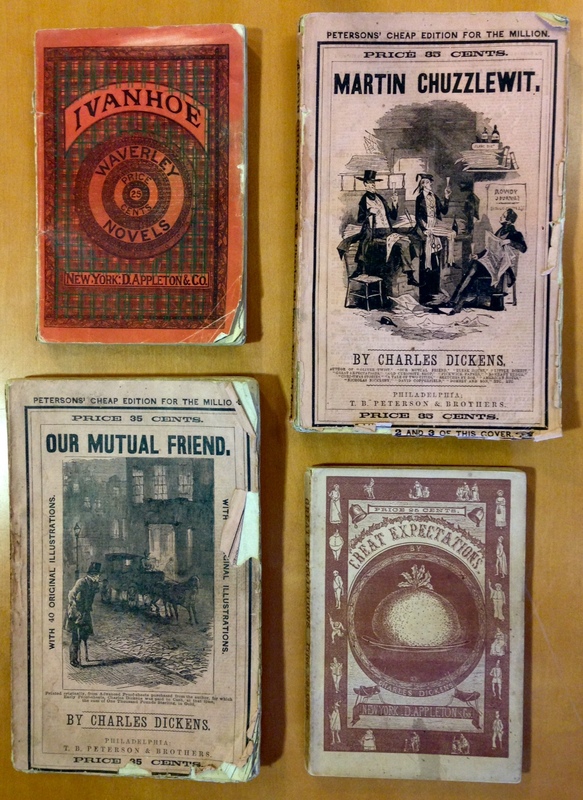 Because they were often taken out of their wrappers and bound into single volumes, first editions of Dickens in their original covers (like FSU’s 1865 edition of Our Mutual Friend) are especially prized by collectors and historians. By the middle of the nineteenth century, London publishers realized the additional fortune they could make on cheap reprints.¹ These were often sold at railway stations and called “yellow-backs” because of their colorful, eye-catching covers. The paperbacks published by Peterson and Appleton attest that the trend of cheap reprints was common on both sides of the Atlantic. 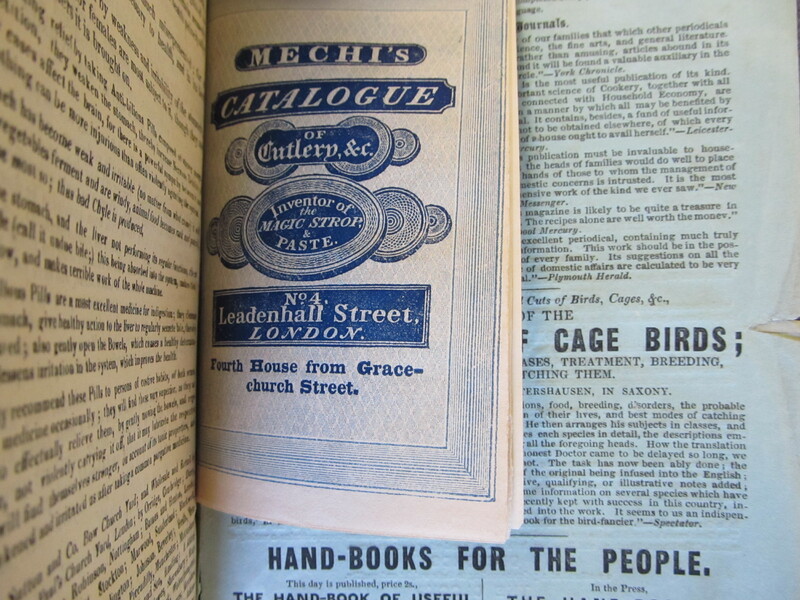 Advertisements, like the one pictured above, list other available publications, all of which testify to the growing commodification of print in the nineteenth-century and the new technologies which made it possible. These nineteenth-century paperbacks can be requested at the Special Collections Reading Room Monday-Thursday 10am-6pm and Friday 10am-5:30pm. 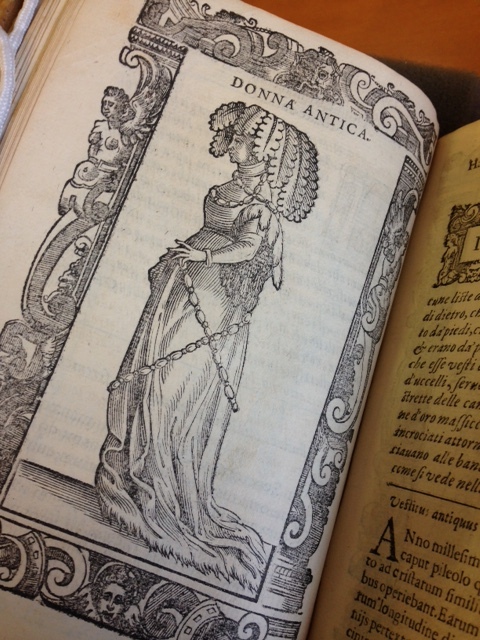 For more information about titles in the collection, contact the Rare Book Librarian, Katherine Hoarn. Gaskell, P., A New Introduction of Bibliography, New Castle 2012, pp. 248-9. 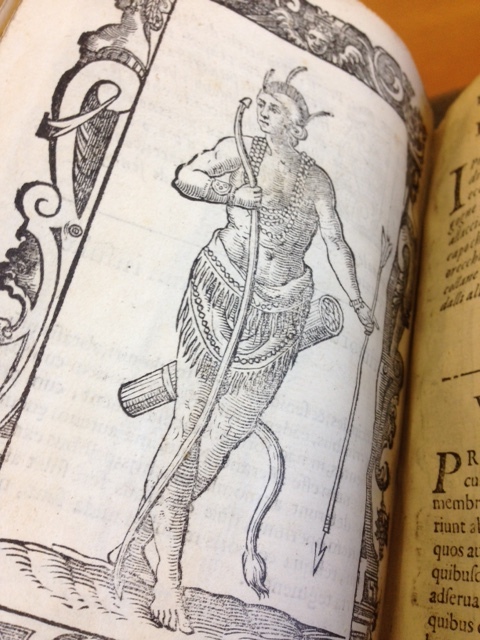 While it might be a little late for you all to change your Halloween costume plans, the following woodcut illustrations from Habiti Antichi, et Moderni di Tutto il Mondo (1598) could still provide some last minute inspiration. 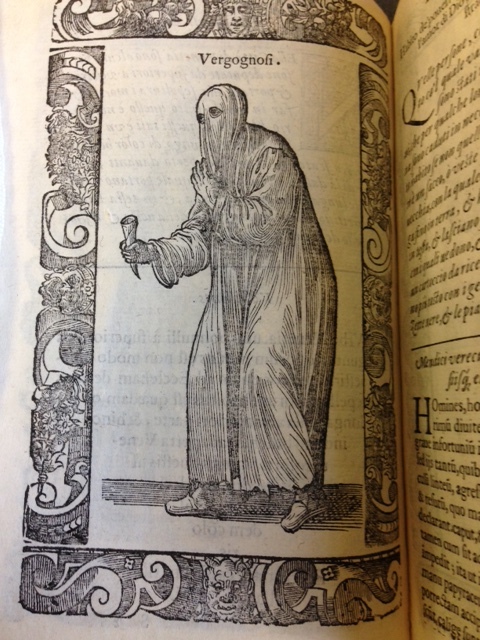 Sixteenth-century sheet ghost. Member of the “shamefaced poor” of Venice. Inhabitant of Virginia in the New World. 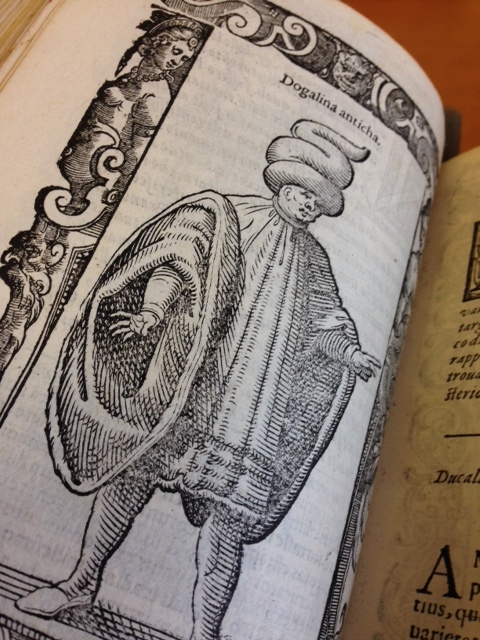 Costume books became popular in the sixteenth century, as increases in travel, technology, and literacy fed the innate human curiosity to know about the dress and customs of people in other parts of the world. Habiti Antichi, et Moderni di Tutto il Mondo features men and women from a wide variety of regions and social statuses. 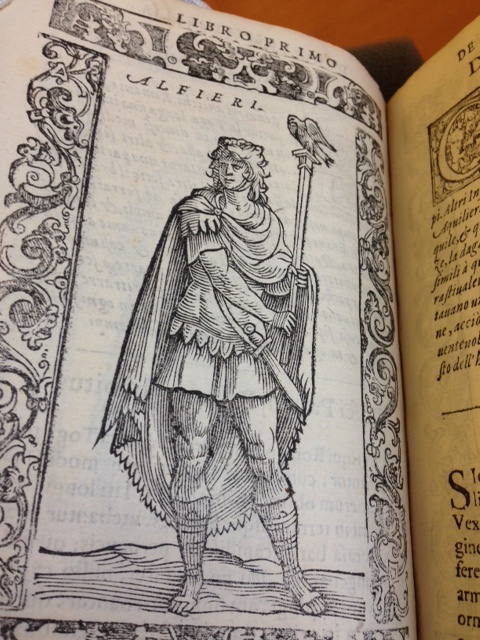 Everyone from the pope to the peasants are featured in often highly-stereotyped woodcut illustrations. As the book was published in Venice, there is a particular emphasis on the wealthy Venetian merchant class, but other people from as far away as Russia, China, and the Americas are also included. A woman in ancient costume. 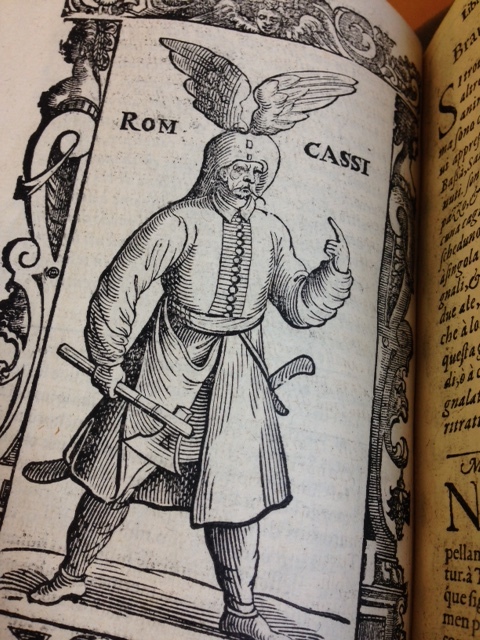 A Turkish fighter with some fierce headgear. An interest in costumes of the world did not end with the Renaissance, as the popularity of sites such as The Sartorialist and other street-style blogs attest. “Who wore it best” polls are a common feature of celebrity tabloids, and the internet has made it easier than ever to know what people all over the world look like. On Halloween, most of us decide we want to be someone else for the night. Who knows, maybe you’ll see a dogalina antica wandering the streets this weekend! 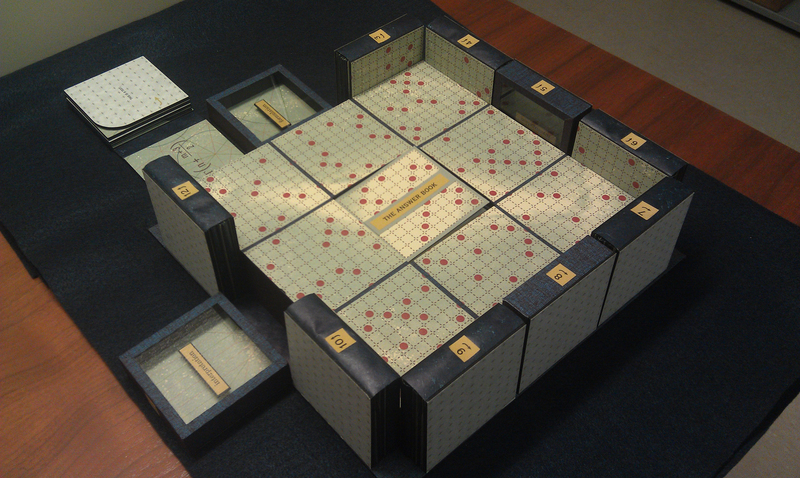 When it comes to studying the history of the book, the study of bookbinding presents a unique set of challenges to scholars. While today we might be tempted think of a book as an all-in-one package, whether we buy it in a bookstore or download it to an e-reader, historically the process of creating a book from conception, to publishing, to binding has been anything but neat and tidy. Prior to the mechanization of printing in the early nineteenth century, books were often bound years, even decades, after publication. Some books were bound by binders associated with publishing companies, some were “bespoke” by wealthy patrons according to their personal specifications, and others were shipped as unfolded, uncut sheets to be bound in distant countries. 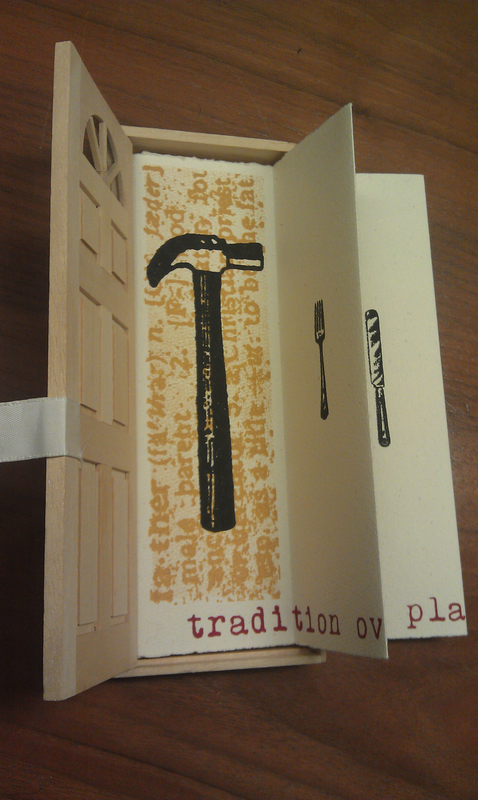 Since a book can be bound and rebound any number of times in its life, associating a bookbinding with a particular place, time, and bindery is at best a game of educated guesswork. Even so, bindings have a lot to tell us about the history of the book, and the FSU Special Collections & Archives rare books collections contain many notable examples of bookbinding materials and techniques. 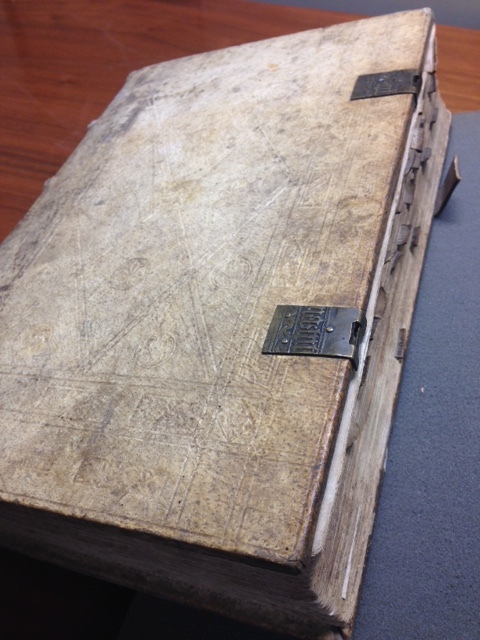 The most common coverings for books through the nineteenth century were those made out of animal skins, either leather or vellum.¹ One of the oldest leather bindings in our collection is on a fifteenth century Italian manuscript (fig. 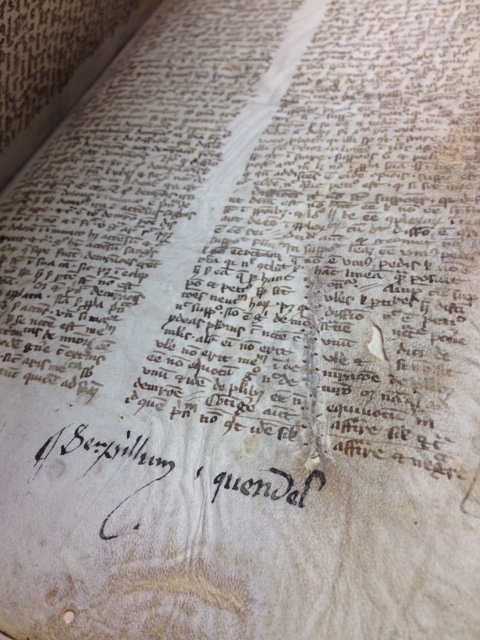 1), believed to be in its original binding. 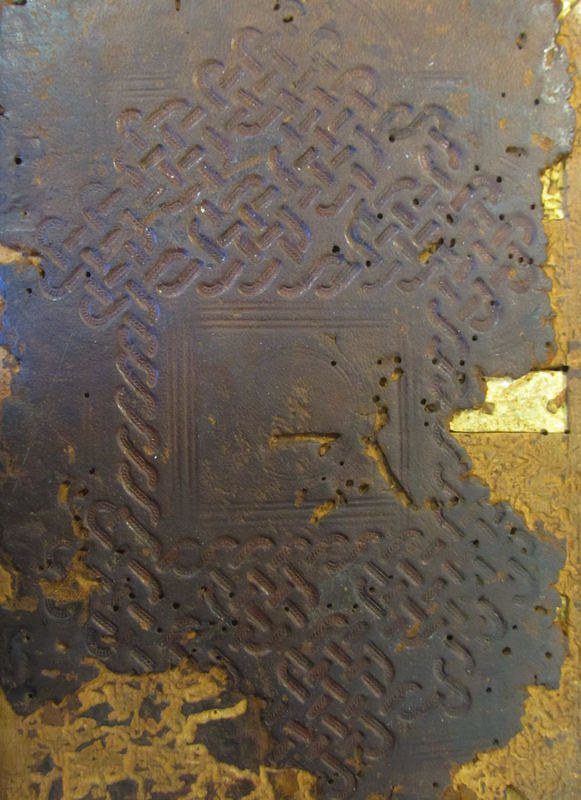 Although much of the leather has worn with time, a pattern of knot-work stamps worked in blind around a filleted central panel is still visible. A manuscript like this would have taken considerable time and labor to produce, and its binding reflects its preciousness. 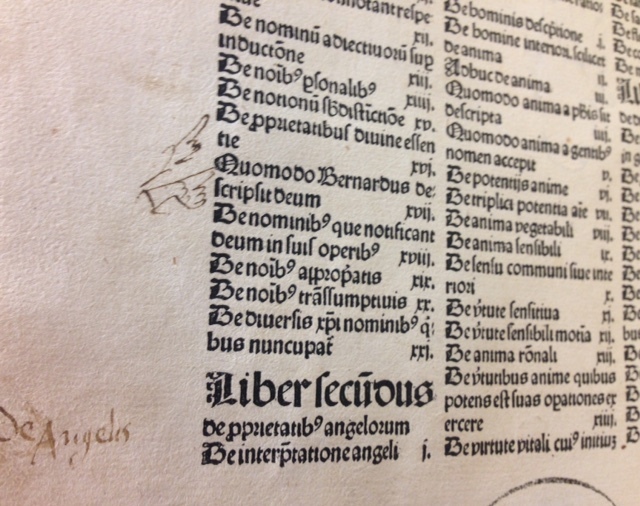 Leather was the material of choice for monastic and university libraries, but books owned by private (i.e. wealthy) collectors were often covered in embroidered fabrics or velvet. It is difficult to determine just how widespread the use of fabric bindings was because so many of them were not made to withstand the test of the time as well as their leather counterparts.² The embroidered binding in fig. 2 is believed to date from the eighteenth century, and it covers a 1547 Italian printed book on the lives of the Saints (Vite de Santi Padri). It is precisely these types of devotional works that were often given special coverings by their owners. 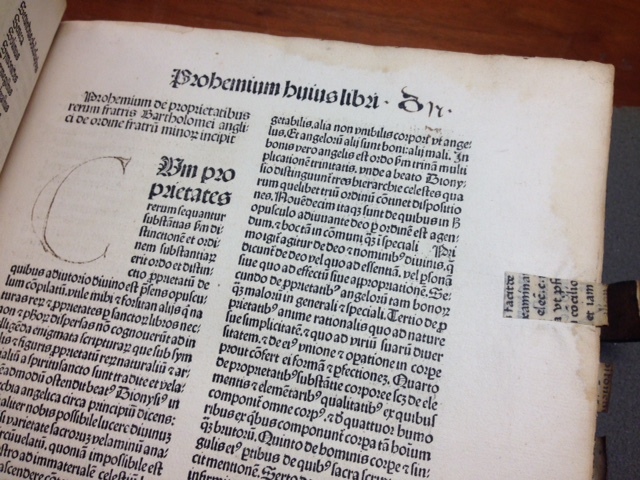 On the other end of the spectrum, increased book production after the Renaissance led to a shortage of binding materials, and cheaper methods of binding came into use to meet growing demands. By the eighteenth century, simple paper wrappings had become a common cover for inexpensive pamphlets and small-format books, such as the almanac in fig. 3.³ This copy of the 1767 Almanach des Muses, a serial of French poetry published annually from the mid-eighteenth to the early nineteenth century, is comprised of seven quires with untrimmed edges sewn together and wrapped in decorated paper, which is glued to the first and last pages of the volume. 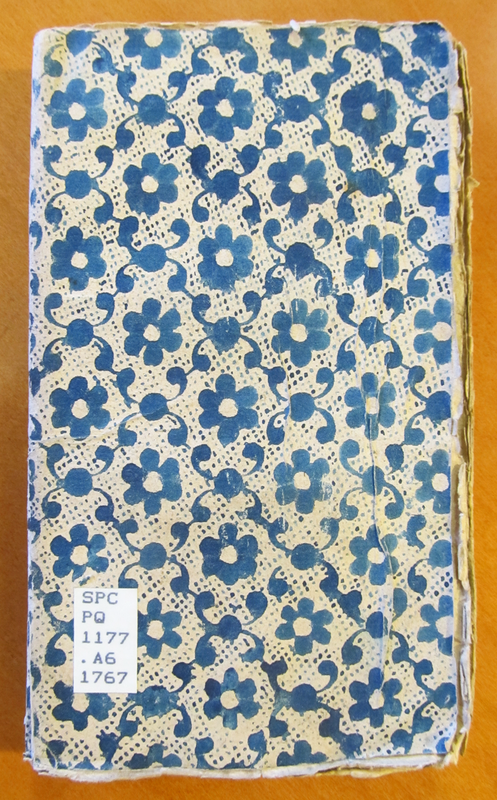 The use of blue paper was often characteristic of French paper bindings.³ Unlike modern day book jackets, these paper coverings bear no relation to the text within. 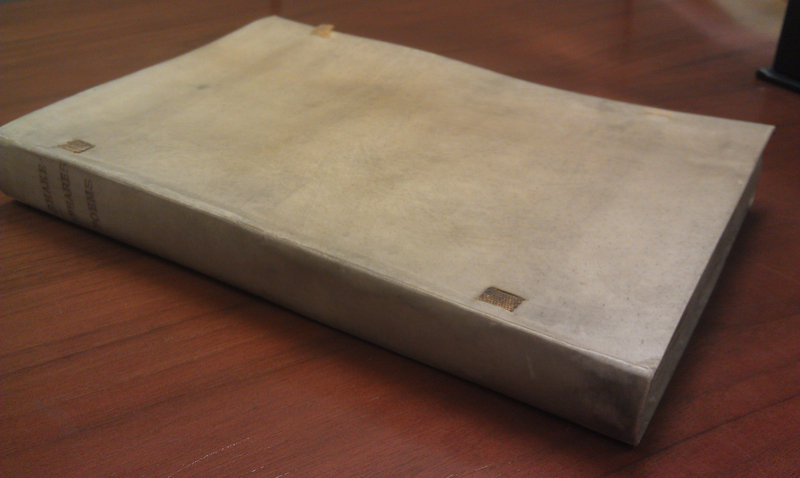 Since these bindings were not designed for longevity, they often do not survive intact or are removed when the books are rebound and the pages are trimmed. 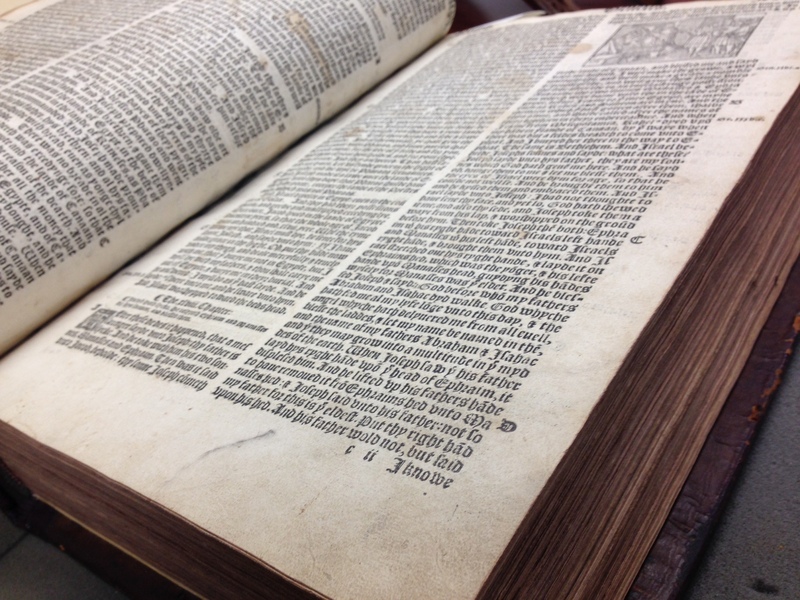 The FSU Special Collections & Archives rare book collections run the gamut from medieval manuscripts bound in tooled leather with gilt edges to untrimmed almanacs wrapped in publishers’ scraps. Their value, form, and function may vary, but they all contribute to the same history. Prior to the mechanization of book production in the early 1800s, each book was constructed by hand, and, as such, each can be thought of as a miniature work of art, just waiting to be discovered. 2. P. Needham, Twelve centuries of bookbindings 400-1600, New York, 1979, p. 107. 3. M. Lock, Bookbinding materials and techniques 1700-1920, Toronto, 2003, p. 48. Charles Dickens is one of the most important writers in English Literary History. Our celebration of his bicentenary in February 2012, presented in collaboration with the FSU English Department, continues on the evening of February 29th with the second of two public lectures, sponsored by the Friends of FSU Libraries and the History of Text Technologies program. 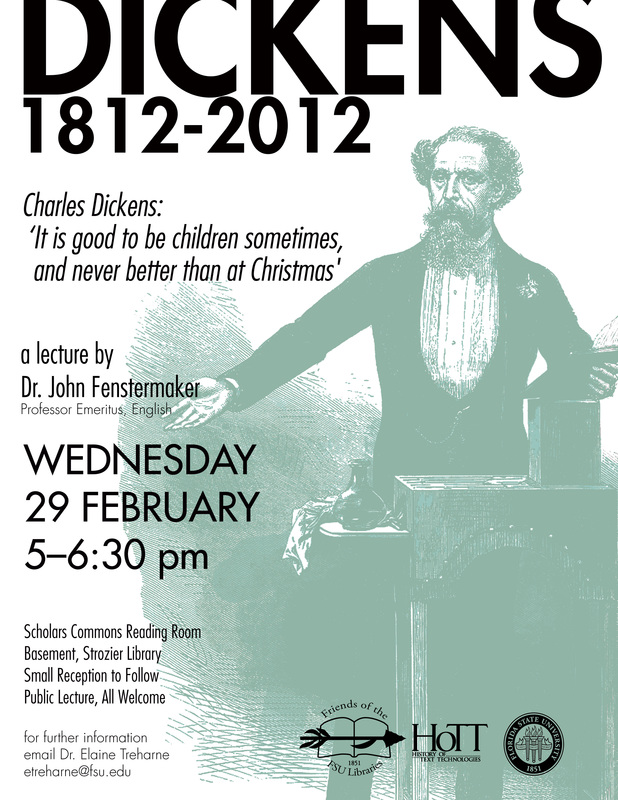 Dr. John Fenstermaker (Professor Emeritus, English) will deliver a lecture entitled, “Charles Dickens: ‘It is good to be children sometimes, and never better than at Christmas. 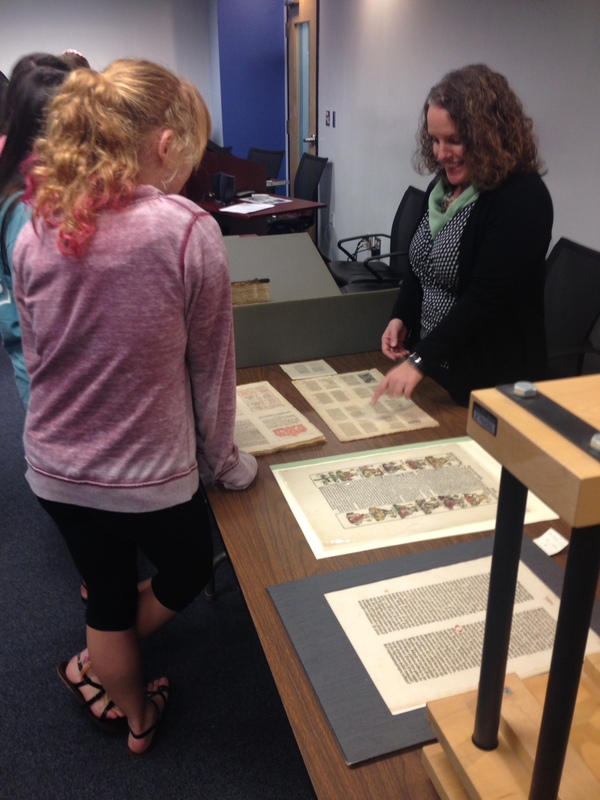 '” Alongside the lecture, there will be an exhibition of nineteenth-century Dickensiana from Strozier Library’s Special Collections. All are welcome. Charles Dickens is one of the most important writers in English Literary History. 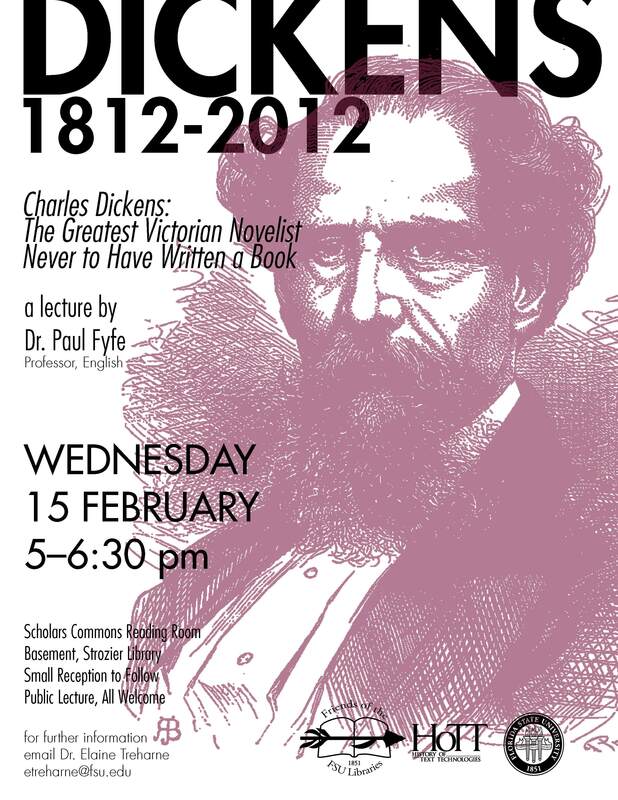 In celebration of his bicentenary in February 2012, Florida State University’s Department of English, in collaboration with Strozier Library’s Special Collections, is delighted to announce a pair of lectures on Dickens and his work by eminent FSU scholars. The two public lectures, sponsored by the Friends of FSU Libraries and the History of Text Technologies program, will take place on 15th February (Dr. Paul Fyfe) and 29th February (Professor John Fenstermaker) in the Library. Alongside these lectures, there will be an exhibition of nineteenth-century Dickensiana from Strozier Library’s Special Collections. All are welcome. 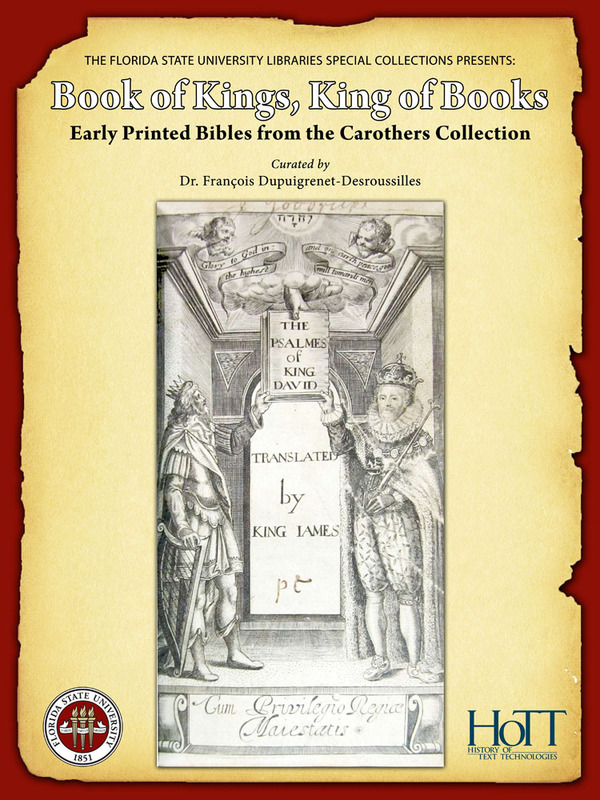 Under a title borrowed from Andrew Marvell, King of Books, Book of Kings revisits the role of Bible publishing in early modern England according to the innovative methods of the History of Text Technologies program (HoTT) created in 2007 at FSU. Stemming from a rigorous analysis of Bibles as material objects, it thus emphasizes the international nature of the first English Bibles whose original synthesis involved Parisian typefaces, Auvergne paper, German or French illustrations of Venetian origin, and commentaries drawing on the Flemish Desiderius Erasmus or the French John Calvin. Beyond the history of Biblical artifacts it also highlights the political figure of English kings as biblical sovereigns, from Henry VIII to James I, constantly to the good kings of the Old Testament, David, Solomon or Josiah, or to Jesus-Christ himself. King of Books, Book of Kings offers a new example of the multi-faceted collaborative effort between the Strozier Library and the History of Text Technologies (HoTT) program as its direct origin is the graduate seminar “The Bible as a Book (13th-18th c.)” that François Dupuigrenet Desroussilles, professor in the Religion Department and HoTT faculty, has been teaching every year in Special Collections since 2009.